NBA Live 15, the latest entry in EA Sports' basketball simulation franchise, will arrive Oct. 7 on PlayStation 4 and Xbox One, executive producer Sean O'Brien announced yesterday. 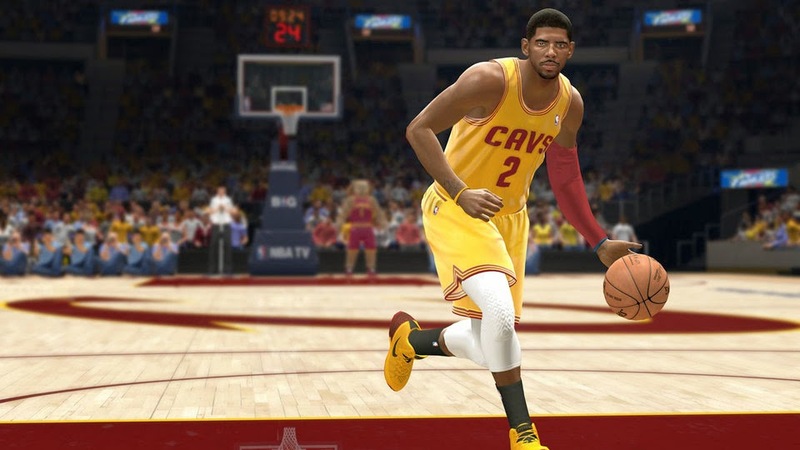 "As I've said previously, we know we fell short in two major areas with NBA Live 14," O'Brien wrote on the official EA Sports website. "5-on-5 gameplay didn't have the depth and polish of an EA Sports game and our visuals just weren't up to expectations for a next-gen title. We've been laser-focused on making sure that this isn't the case with NBA Live 15 and I'm really excited with our progress in those two areas." Digital scans of NBA players' heads combined with refined player models and new lighting technology, O'Brien said, "makes our characters look really amazing." O'Brien said the NBA Live development team has seen "great progress with gameplay that makes the experience more realistic and, most importantly, more fun with a much better overall flow." The developer has spent time speaking with NBA coaches to better reflect how real-world teams are represented in-game, he says, and "we feel that shooting, passing and dribbling all feel much better this year."